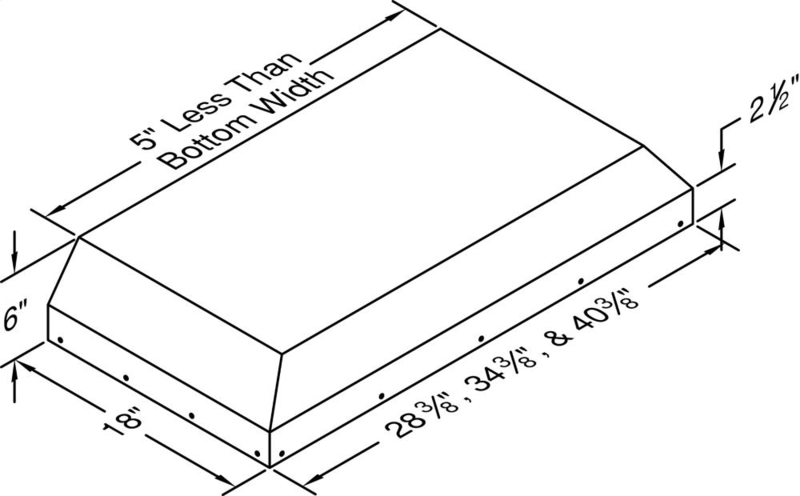 Liner insert with a compact design for use in narrow depth applications. Includes the Power Lung K Series blower system, which is perfect for light to moderate cooking [sound rating is 7.4 Sones at high speed]. Lights feature a dual switch for dimming. Equipped with the SensaSource® heat sensor. Available in popular paint colors [biscuit, black, gunsmoke and white only] and stainless steel. Designed for either top vent or back vent installations. 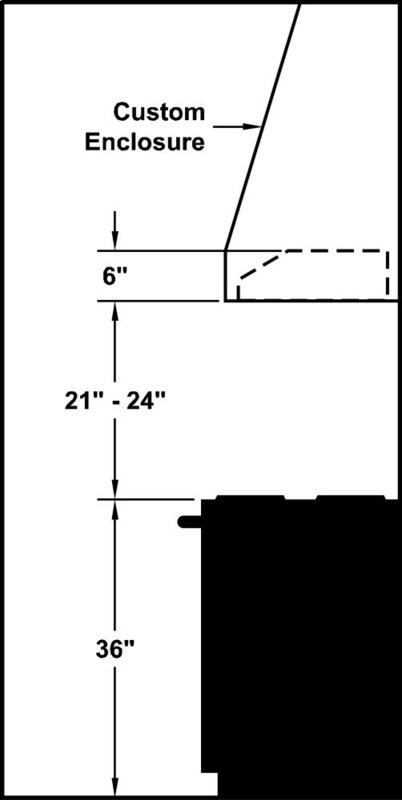 Recommended mounting height is 21" - 24" above the cooking surface.